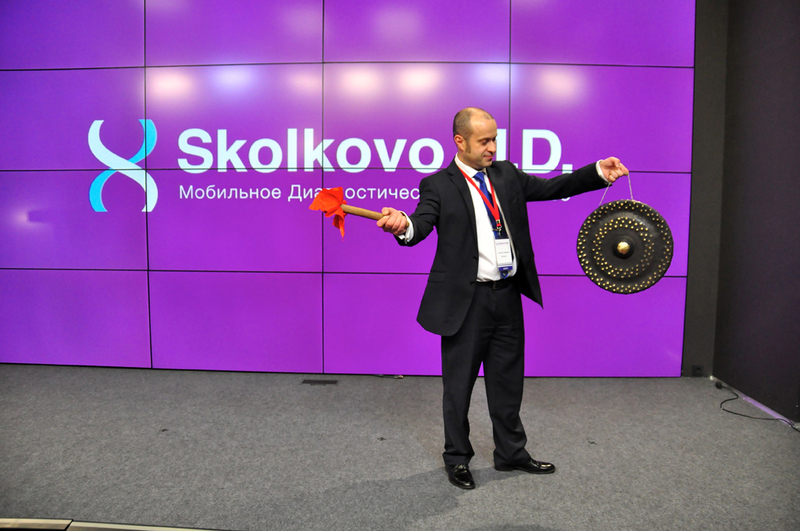 Skolkovo MD. 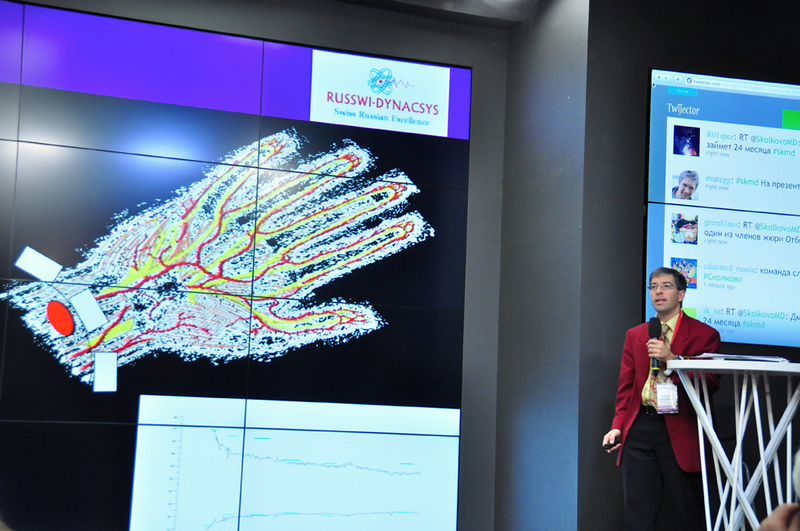 General Presentation View more presentations from IT-Cluster. 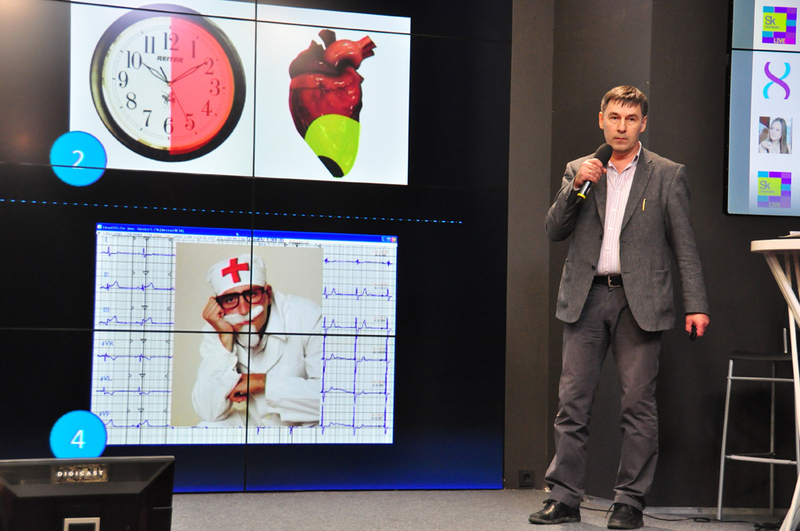 The Fruct team offered a mobile telemonitoring solution with automatic diagnostics features and wide spectrum of different biosensors. 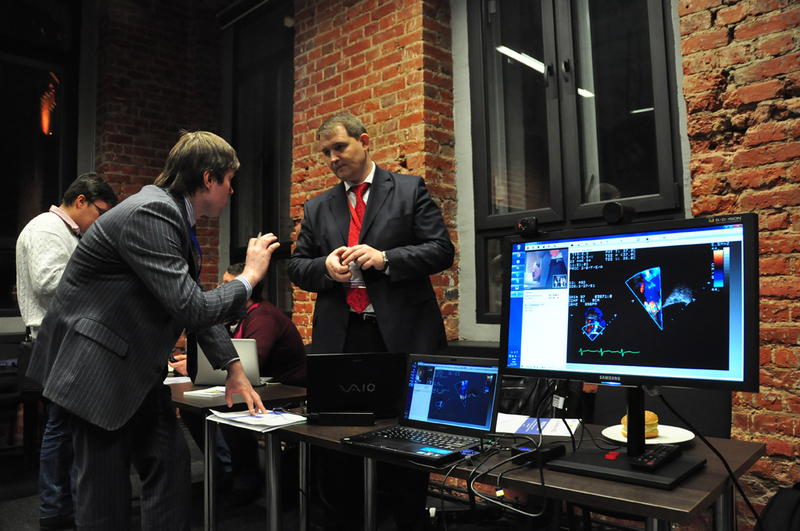 It’s the second Fruct’s victory given its lucky debut with the CardiaCare application. 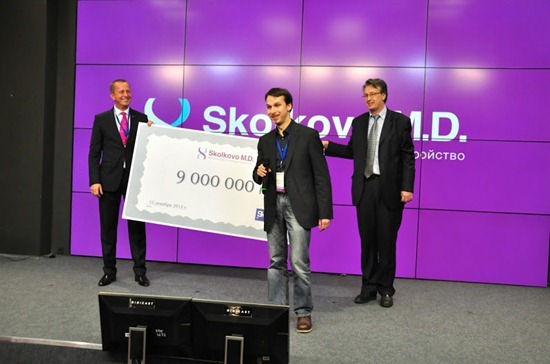 Marek Dziki, head of the Biomed Cluster and Nikolay Suyetin, director for science of the IT cluster handed in a symbolic bank check to Maxim Yatskovsky, head of the Moscow office of the Fruct Association. 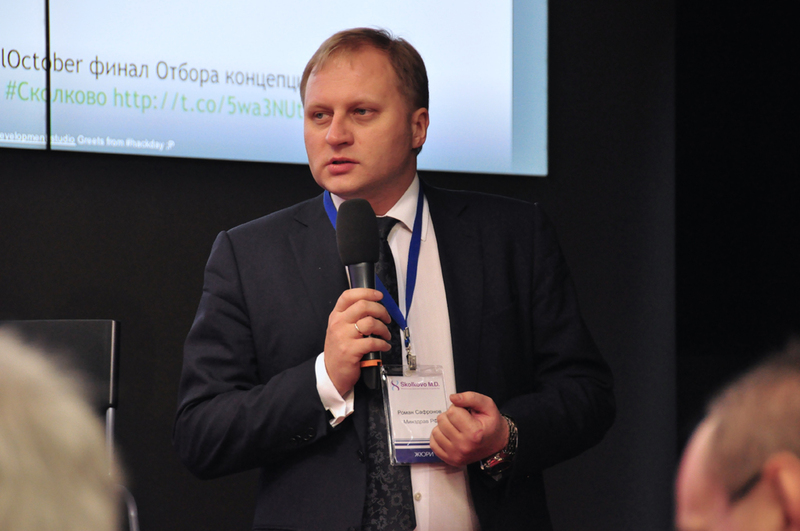 The Foundation for Assistance to development of small-size enterprises in scientific and technological sphere awarded the AngioSkan with 9 million ($ 300,000) grant. 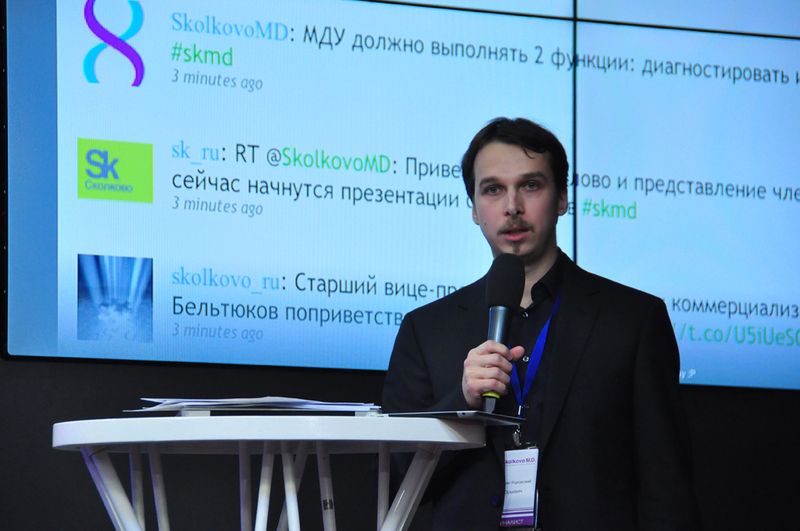 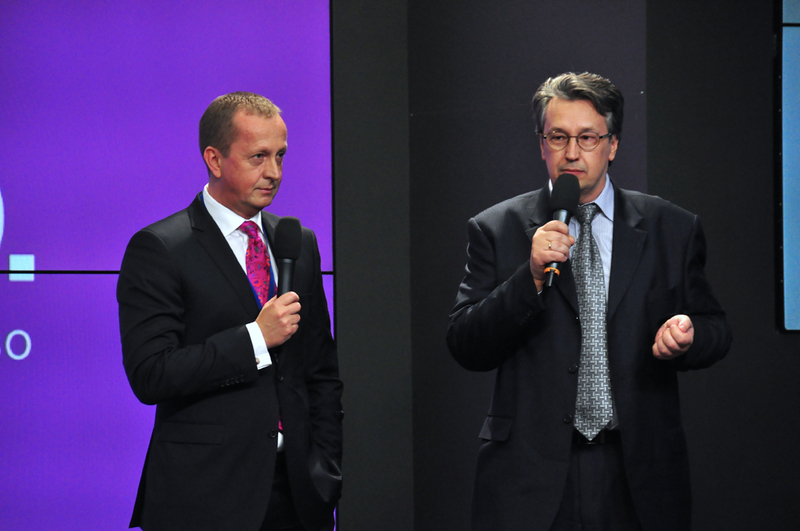 Photo from final of Skolkovo M.D. 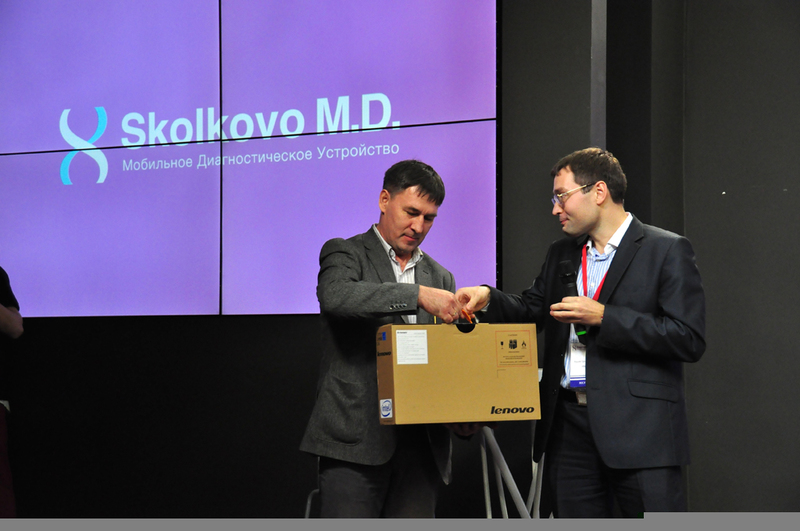 The Intel company awarded the Global Sensor Network for an original solution and design of its MDD, which looks like a T-shirt, and AngioSkan was awarded for a mobile sensor and Personal Termograph for productive use of existing technological solutions. 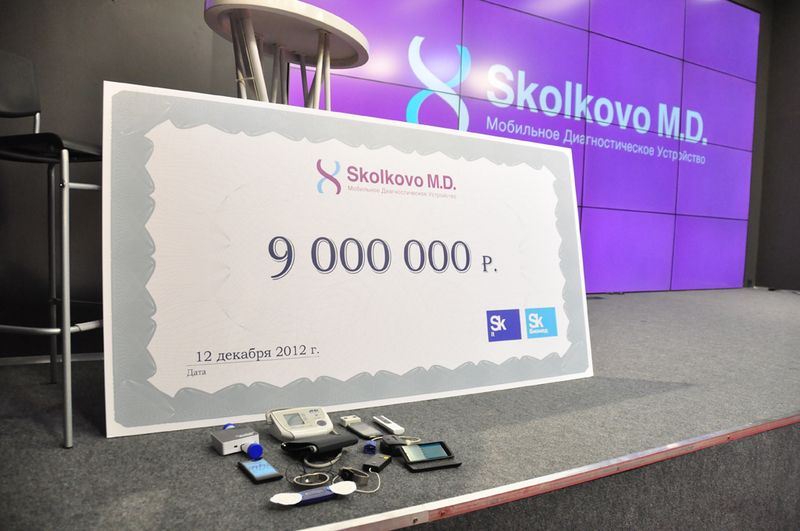 The Skolkovo Technopark handed in diplomas to MetaScan for decreasing the price of device. 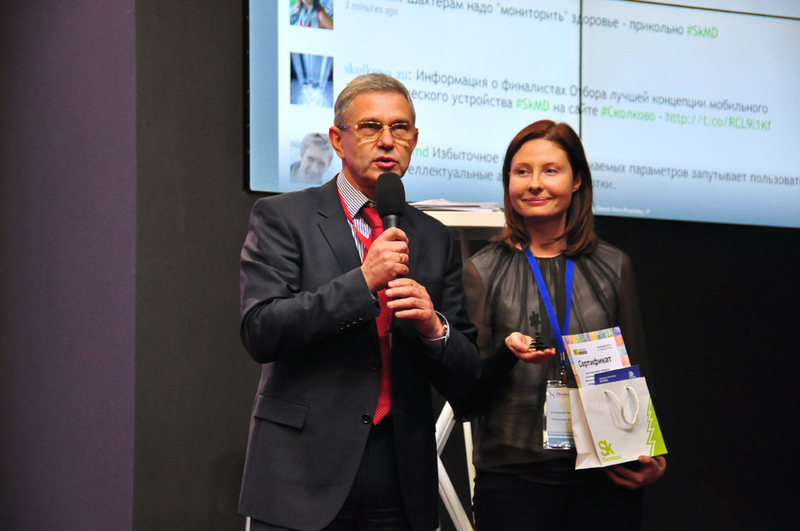 “Personal Termograph” and “AstMedCom” were also awarded for “health streetlights” solution for clients. 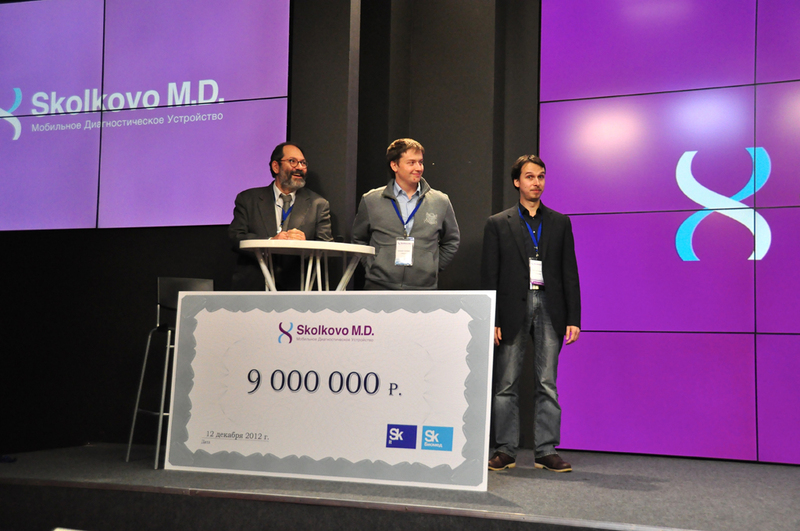 And AngioScan was also awarded for an idea to measure snoring vibrations, and RWM for design of the device. 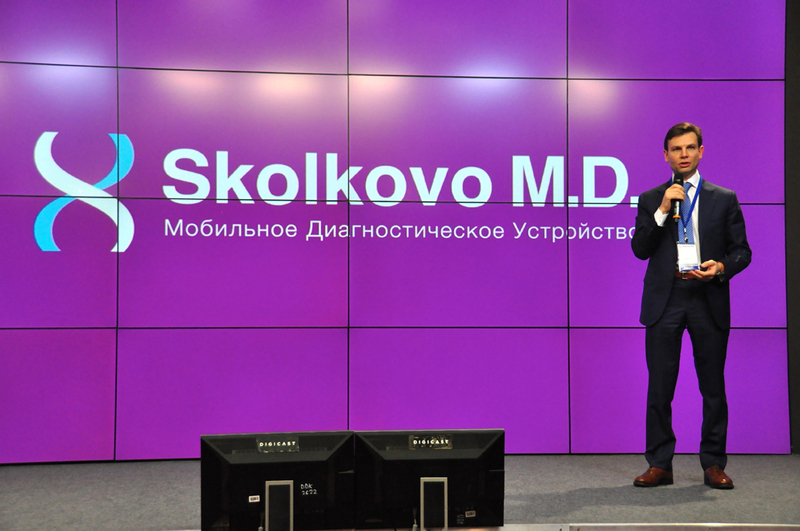 The “Skolkovo M.D.” selection started at May. 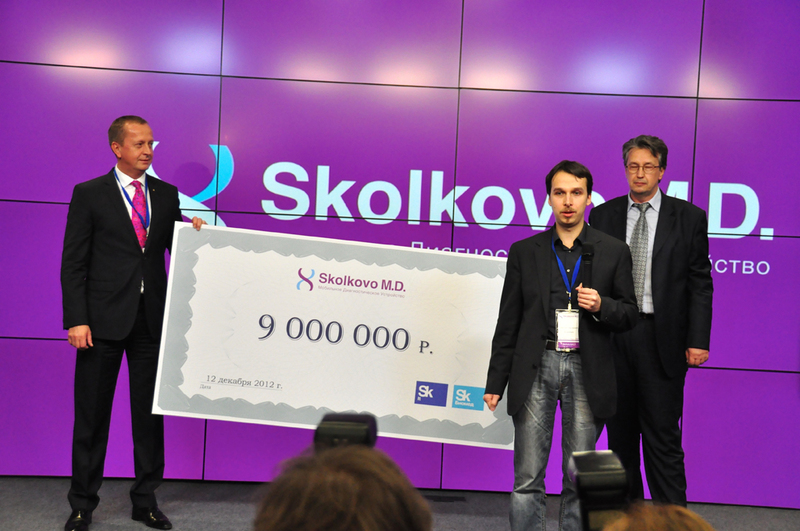 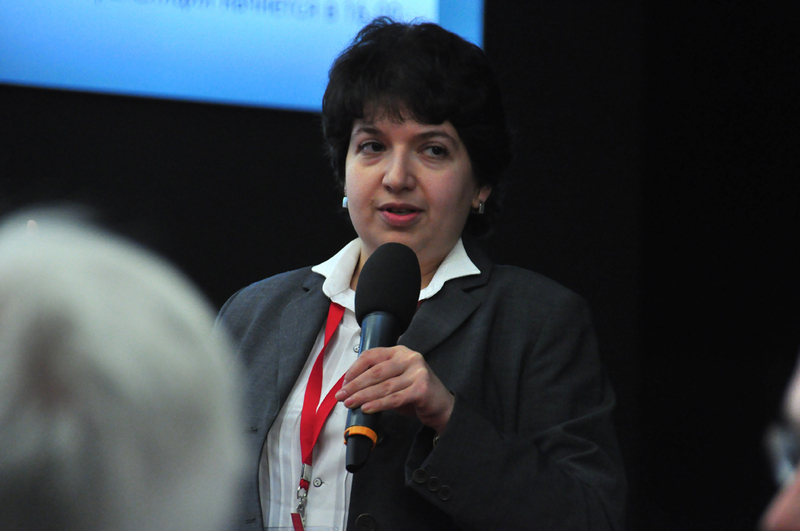 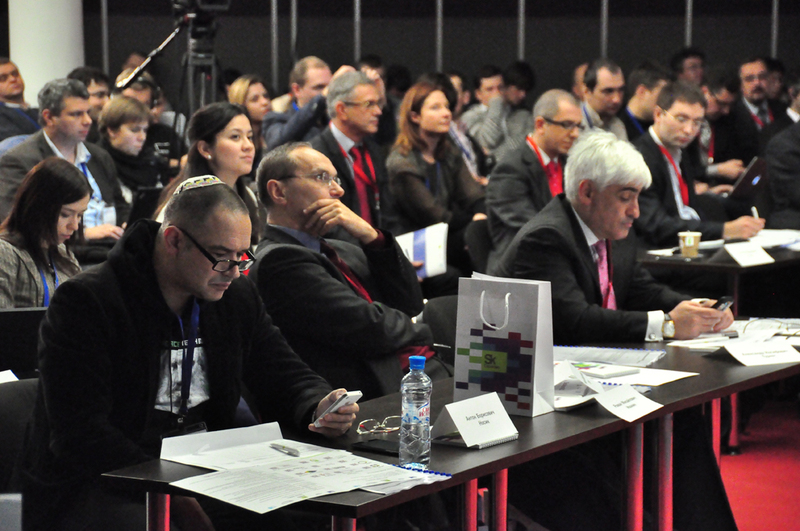 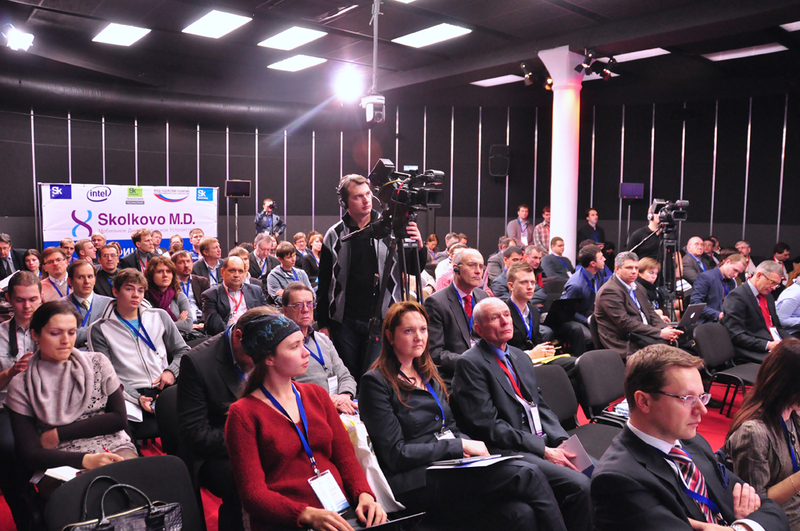 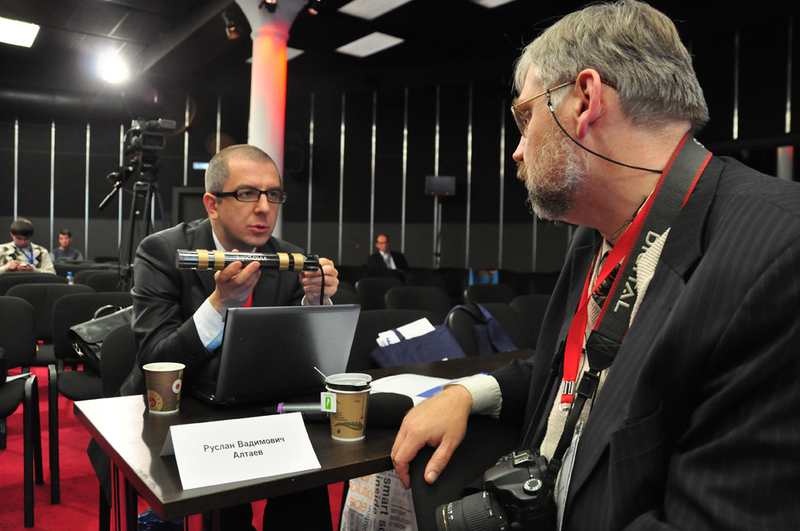 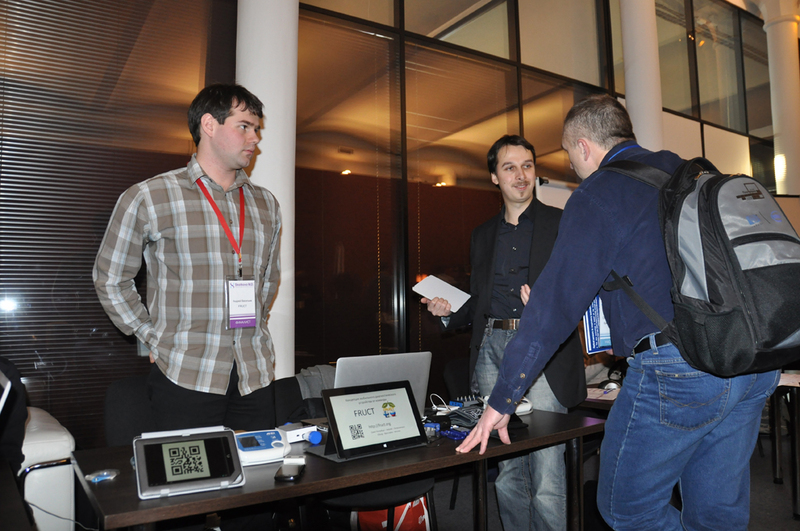 The selection was organized by IT and Biomed clusters of the Skolkovo Foundation. 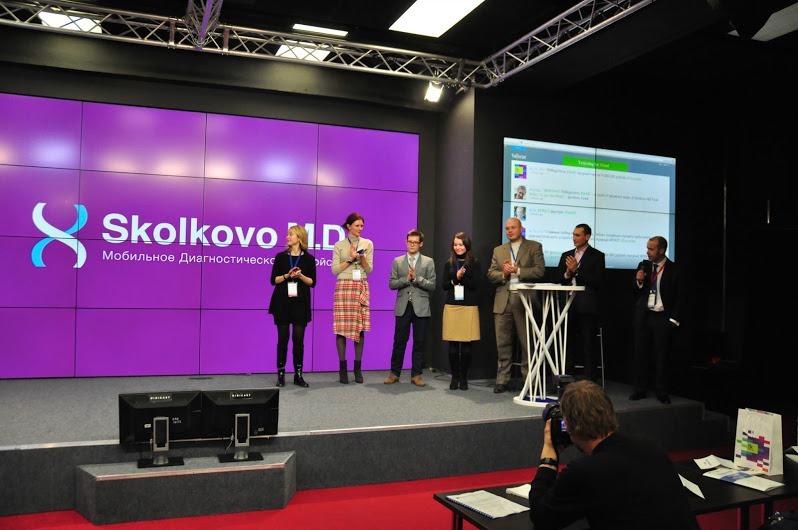 And during the September semi-finals 12 best concepts of mobile diagnostic devices were selected.